Here is my April Blog with updates on what the National Executive is involved with on your behalf. It has been a very busy couple of months and this post will hopefully give you an insight into what exactly we have been doing. 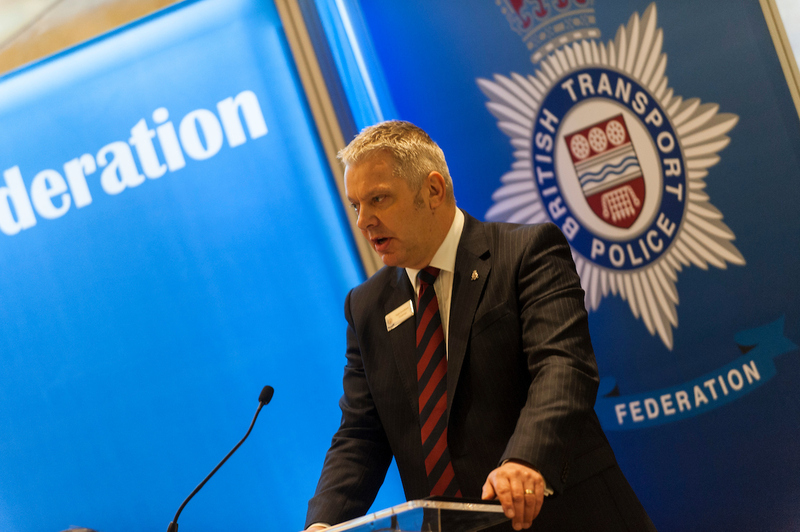 You will recall that BTP Federation submitted written evidence regarding the Draft Scottish Railway Policing Bill to the Scottish Justice Committee (our evidence, along with many other submissions, is available to view here). As a result of the submission I was invited to the Scottish Parliament to provide evidence to the Justice Committee on 14 March. In company with Ch/Supt McBride, Supt Association, Scottish Police Federation, TSSA and RMT I and all the other representatives gave evidence, answering various questions from the committee. This was a first for me and an experience that I will not forget in a hurry. I feel we all managed to get all our relevant points across and hopefully, the Justice Committee will acknowledge and re-evaluate the evidence delivered prior to making a final decision on integration and the draft Bill. Clearly the timing of the recently announced General Election will be of interest and the potential for it to cause delay in the draft Bill being debated in the Scottish Parliament. It will also be interesting to also see if the outcome of the election has any impact on the integration. Darren Townsend and I are in Scotland this week, holding three workshops to update BTP Scotland officers and try to answer questions based on what we know so far. We have also had meetings with the DFT and BTPA regarding our concerns about the level of uncertainty, especially around T&C's and pensions. In the coming months we should have sight of what these may look like going forward. Following the national elections in February 2017 we have a full complement of seven committees resourced by your elected representatives across all ranks from PC to Chief Inspector. Having reached this milestone, we all travelled to Cardiff last month for our annual conference. We began proceedings with our annual Awards of Excellence ceremony. Winners from each Division has been nominated by their divisional peers; there were seven awards in total with 12 recipients from across the Force. They fully deserved such recognition and if you haven't seen the video clips about the incidents they dealt with, they are all available to watch on our Facebook page. We were delighted to be joined for the awards by several special guests who each presented an award of Excellence. Guests included: Mr Paul Maynard MP, Rail Minister and Parliamentary under Secretary of State; Mr Ken Skates Welsh Assembly Member, Cabinet Secretary for Economy and Infrastructure; BTP Chief Constable Mr Paul Crowther; Ms Charlotte Vitty our newly appointed Chief Executive of BTPA. We must make special mention of Police Mutual, who kindly sponsored the Awards of Excellence. Our winners, guests and delegates provided nothing but praise for the evening and for the award winners. What this evening demonstrated was exactly how diverse a BTP officer's role is and how professionally you all conduct yourselves. The stories of bravery and tenacity provided a stark reminder that when many would run from danger, you run towards it to protect the public. The next day we held our Annual conference. I addressed our delegates and guests, the Rail Minister and the Chief Constable about issues including wellbeing/morale, Taser/firearms, the failings of the IPCC and the Scotland integration. You can read my full speech on our website. A response from Mr Paul Maynard and a Q&A session with the Ms Charlotte Vitty BTPA and Paul Crowther BTP Chief Constable followed my speech. We were pleased to be joined by three guest speakers, who each covered topics associated with police officer welfare and wellbeing. Mr Bryn Hughes, whose daughter Nicola was killed on duty in GMP, spoke about the importance of welfare/FLO duties but also the impact on those officers. Calum MacLeod from PFEW spoke about the "Protect the Protectors" campaign, which is calling for stronger sentencing for people who assault emergency service workers. Mark Williams from the Police Firearms Officers Association, gave an input on the Welfare Support Programme, a 24-hour support line for officers who are under investigation and/or suspended, and their families. These are all topics that are very important to today's policing. During the closed session (for our delegates only) we cast votes to nominate our new Treasurer. As many of you will know, out long-serving treasurer, Graham Poyser, retires later this year. The successful elected candidate for the role is Mark Marshallsay who will join the team in May 2017. Mark Bishop is also now the newly elected full time B Division Federation SPOC, taking the place of Kevin Gardiner who I would like to thank for his many years of dedication and hard work. Kevin remains the Assistant Secretary and Area Secretary for the TFL committee. The upbeat atmosphere at our conference quickly became very sombre as we received reports of a possible terrorist attack in London. The shocking extent of the incident quickly became apparent and it was confirmed that PC Keith Palmer from the Metropolitan Police had been killed on duty. PC Palmer behaved in exactly the manner we had celebrated the night before; he faced the danger that others run from. His brave actions resulted in him paying the ultimate sacrifice and this devastating news sent shockwaves across the country. 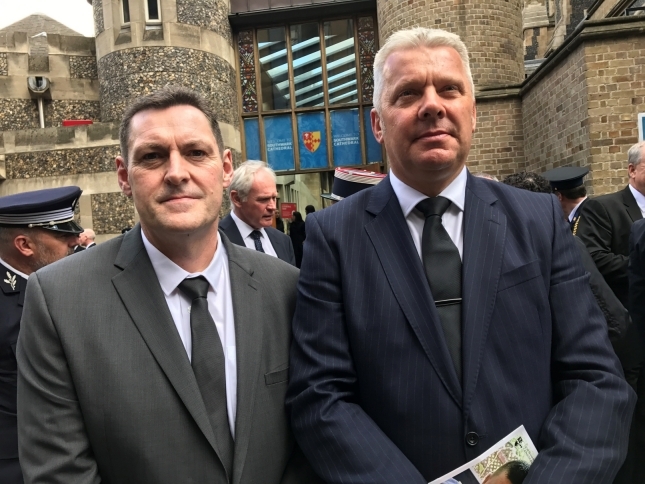 On Monday 10 April, Darren Townsend and I attended Southwark Cathedral and joined thousands of other officers from across the country to pay respect to PC Palmer and his family. It was a great privilege to be invited into the Cathedral and to witness first hand a praiseworthy service that was truly fitting for the occasion. Back to daily business, we are witnessing the results and the implementation of the Demand Review. Understandably, there is already some disquiet across the Force. We are aware of the two Force wide rest day cancellations for two major events in Cardiff. These cancellations could not come at a more unfortunate time, one being on the first weekend post implementation. This is very disappointing but these two events are resource-intensive and there is no roster that would prevent extra resources being needed to police large events of this kind. However, it is genuinely unacceptable that there are numerous reports of continued cancellation of rest days, short notice changes to rosters and in some cases no resources available just to cover the core roster. It is reported consistently that officers across the Force are working 12-13 days without a day off, officers are still working 12-hour night shifts and rest days are being cancelled practically every weekend. One example in C Division was that on an early turn mid week there were four Police Sergeants and one Police Constable on duty. This cannot have been the intent of the Demand Review. If this practice continues and is supported with strong evidence you can be reassured this Federation will gather that evidence and report directly to the DCC on the roster failings. We are aware that in some quarters there is a serious lack of resources, which is having a detrimental impact on rosters, however the absence of resources should not be to the detriment of officers and their work life balance. Continued changes to the core roster would suggest that the new rosters are not fit for purpose and these changes represent a change of roster by default. This clearly cannot continue long term. Please contact your local Fed Rep with examples (find your Reps here) so we can continue to monitor the situation whilst we consult on some specialist rosters for the Dog section, Firearms and the SRU. The CID Review will now be implemented at the end of this month (April) following the implementation of the Demand Review. Like the Demand Review, CID still lacks the resources to fulfill the obligation and I'm personally still of the opinion that this particular review is being initiated prematurely without consideration for the lack of qualified resources to fulfill the newly proposed rosters. We have seen the difficulties with the gaps in the uniform rosters from the Demand Review as described earlier and we can only hope that lessons can be learnt and the CID Review team takes cognisance of the complications experienced in uniform due to the lack of resources. Again we continue to monitor the situation. As reported in my last blog HMIC inspected BTP back in February 2017. Their inspecting focused on Police Legitimacy, Efficiency and Leadership. Legitimacy is assessed in relation to whether the Force operates fairly, ethically and within the law. Efficiency is assessed in relation to how we provide value for money. In addition it also looks at how efficient the Force is at keeping people safe and reducing crime in line with the effectiveness strand, which will take place at a later point this year. Leadership is an assessment of how well led the Force is at every rank and grade, with a focus on the organisational structures that help the Force to understand and develop leadership skills across the whole Force. Having listened to many officers and how they feel towards policing and working in BTP at present I sincerely look forward to the results of the HMIC report, due next month. The new sickness policy with an ill health procedure has been published. We are now in consultation with the Force regarding a policy on limited duties to compliment the ill health procedure policy. This will assist the Force in recommending reasonable adjustments to those officers who find themselves disabled for various reasons. We hope this creates an enhanced and fairer process for those officers who are protected by the Equality Act. I have reported previously the problems that officers have suffered with receiving their wages and it is reassuring to see that the difficulties have reduced and the Force are being more pro-active in guaranteeing that pay is a priority and officers should not be missing salary on pay days. This is a great example of where the Force have listened and made amendments, let's hope it continues. We have our second National Negotiating Meeting this Month chaired by DCC Hanstock. We will be hoping for updates on our own Machinery of Negotiation, overnight allowance and working time agreement. We will also be raising concerns about rosters, regulations/terms and conditions and the job-related fitness test. Finally - and I appreciate that for some it has been a contentious decision - our new Group Insurance scheme from George Burrows gets underway next month. This insurance provides every member of the Federation with better life cover, RAC cover, family holiday insurance, legal cover for on and off duty including criminal, gadget cover for phones, tablets and laptops, and sickness pay cover. This all comes at a very competitive price and we hope that those of you who are in the scheme see the benefits. For those who have opted out, be reassured you will continue to receive the support of the Federation and hopefully you will join your colleagues in taking up the group insurance scheme in the future. I hope you all had a very good Easter, and got to spend some time with your families. We all wish you well and that you all stay safe in very difficult times.